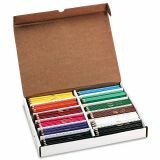 Prang Colored Woodcase Pencils, 3.3 mm, 12 Asstd Colors, 288 Pencils/Box - For classrooms, this colored pencil set includes 24 each of 12 different colors: yellow, orange, red, pink, violet, blue, sky blue, green, yellow-green, brown, white and black. 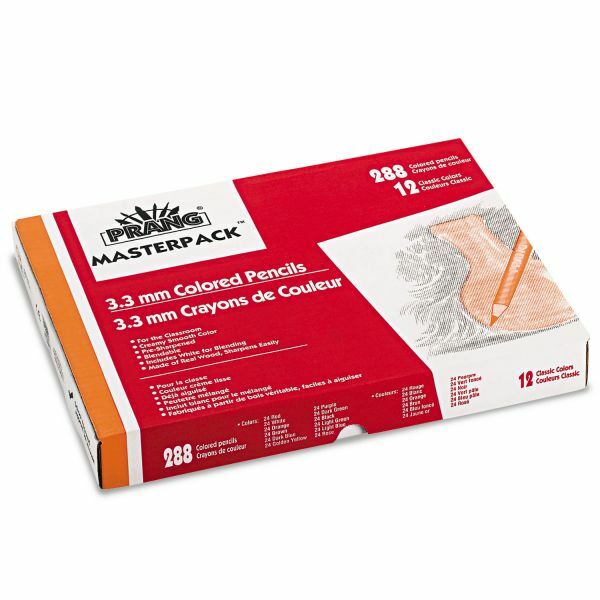 Full-length, pencils feature 3.3mm thick, smooth-drawing cores and bright vibrant colors. Each pencil is pre-sharpened for immediate use. PMA approved pencils are certified AP nontoxic.